sustainable design, interiors, architecture, camping, cooking, reading, blogging, writing. 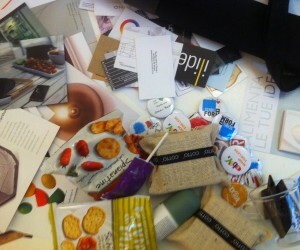 » Which advertising and communicative materials to distribute in a Trade Fair? What is kept and what is thrown?